A two-year-old girl was rushed to the hospital after she fell into the white rhino exhibit at Florida’s Brevard Zoo on Tuesday. Reports have indicated that she was injured, but the nature and extent of her injury has not been released. The Brevard Zoo is home to a special “rhino encounter” program, during which a zookeeper supervises as families see the animals up close — and even touch them. The little girl and her family were participating in that activity at the time of the incident. 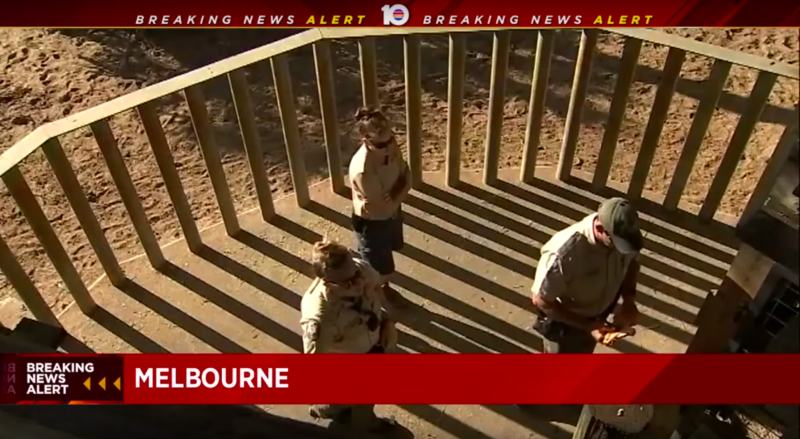 Zoo spokesman Elliot Zirulnik told ClickOrlando that at least one of the animals made contact with the little girl before her father was able to get her out of the enclosure. “According to witnesses, the child stumbled and fell in between two of the poles and at this point, the snout of at least one of the rhinoceroses made contact with the child,” he explained. According to Brevard Zoo Executive Director Keith Winsten, children under three should be supervised by a parent at all times during this particular experience — and it was the girl’s father who was able to react quickly and get his daughter out of the exhibit. He rushed her to the zoo entrance, where he was met by Brevard County Fire and Rescue crews. The toddler was then flown to Arnold Palmer Children’s Hospital in Orlando. The enclosure she fell into is home to four white rhinos, one of which weighs over 5,000 lbs. Zoo officials did not indicate which of the four animals made contact with the child and have confirmed that none of the animals will be punished. The girl’s mother was also reportedly taken to a local hospital with noncritical injuries to her arm, possibly sustained while trying to get her daughter out of the rhino exhibit.